Master Clock - The DuraTime master transmitter is the focal point of the system. It features a OCXO Oscillator that is accurate to one second over 20 years or 2 ppb. The time is then broadcast to all secondary devices once per second. Multiple master clocks may be deployed for improved reliability. 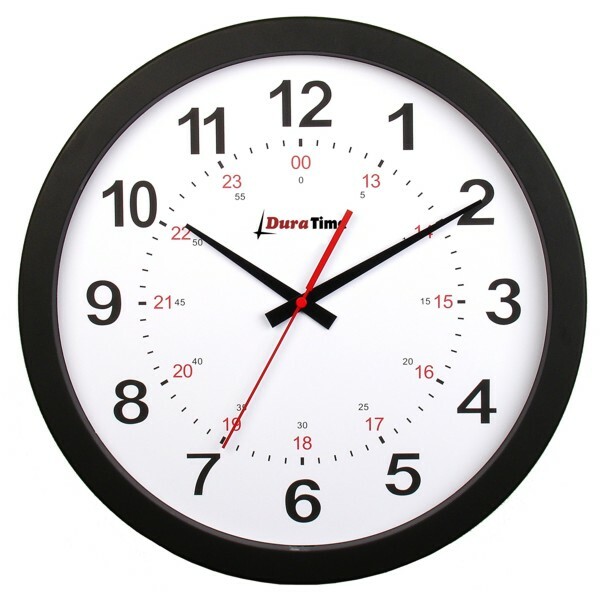 Analog Wall Clocks -The DuraTime battery powered analog wall clocks eliminate the need for wiring. These clocks can be expected to operate over five years between battery changes. They are available in black plastic or brushed aluminum in two sizes. An impact resistant poly carbonate lens is standard. 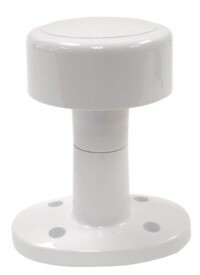 A security bracket and mounting hardware is included. No configuration required. Digital LED Wall Clocks - LED digital clocks produce light and are easy to view from a distance. Available in 2.5" & 4" LEDs and 4 & 6 Digit configurations. Single and double sided models are available. 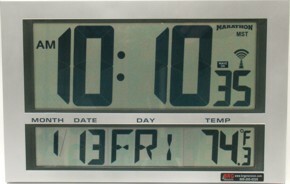 Digital LCD Wall Clock - The Marathon MST offers time, temperature, date, day and seconds and has a DuraTime 2.4GHz transceiver. Wireless GPS Time Receiver - The wireless GPS time receiver eliminates the need to run an antenna cable between the master clock and GPS receiver. Additionally, the wireless GPS time receiver can provide time to any number of master clocks. Wireless Relay/Audio Player/Tone Generator -This device receives commands from the master clock. It is capable of activating a relay to control horns and bells, or it can interface with existing paging systems to provide audio alerts. It includes recordings of over 70 alert tones, bells, horns and more.